Previously only for Windows Insider testers, the Feedback Hub is now available for free from the Windows Store. Microsoft really, really wants to get your feedback. Not content to merely periodically ask you for your thoughts on Windows 10, the company has released its Feedback Hub to all Windows 10 users, not just Windows Insider testers. This news comes our way from the French-language blog Thewindose (via WinBeta), which first noticed the Feedback Hub app on the store. Originally built for Windows Insider users, the Feedback Hub app lets you report bugs to Microsoft, as well as offer suggestions for making Windows 10 better. 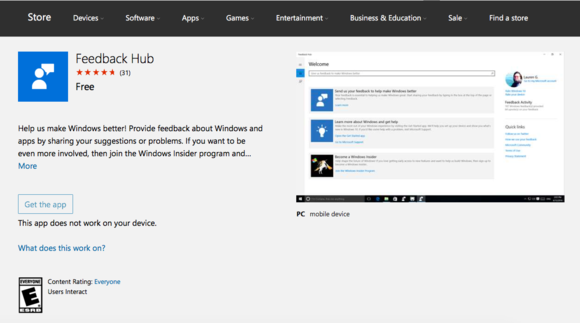 Feedback Hub on the Windows Store. It’s a free download, and you can get it right now from the Windows Store. The story behind the story: User feedback has played a big role in Windows 10’s development from the very beginning. 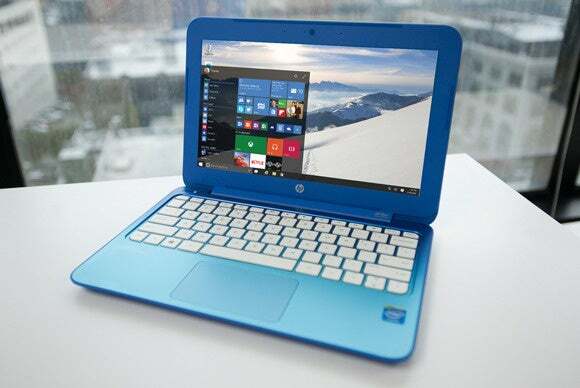 For instance, many of the changes Microsoft made between Windows 8.1 and Windows 10—such as the triumphant return of the traditional desktop-focused interface and a proper Start menu—were the result of users’ general dislike for Windows 8’s decidedly disjointed interface. The company already includes a Windows Feedback app with general releases of Windows 10 in order to solicit feedback from all users (Windows 10 will also ask you to provide feedback from time to time). Despite their similar nature, the two apps serve rather different purposes. 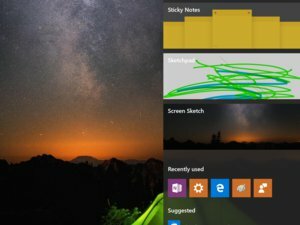 Windows Feedback is a little like Reddit for feedback: You can submit your own idea or suggestion to Microsoft, which will acknowledge that it received it, and you can upvote and comment on ideas from other users, too. Feedback Hub does all that, but it also provides news on the Windows Insider program, lets you rate Windows 10 builds overall, and lets you complete feedback quests and earn badges, according to the description on the Windows Store. Windows Central notes, however, that certain features remain exclusive to Windows Insider users. I haven’t yet been able to get the Feedback Hub to work properly, and some users have mentioned encountering bugs, but it’s received generally positive user ratings so far on the Windows Store. Have you tried it? Will it get you to submit feedback to Microsoft? Sound off in the comments.